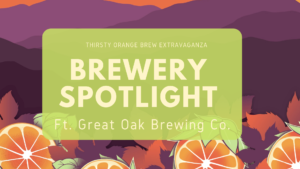 This weeks Brewery Spotlight features Great Oak Brewing Co! 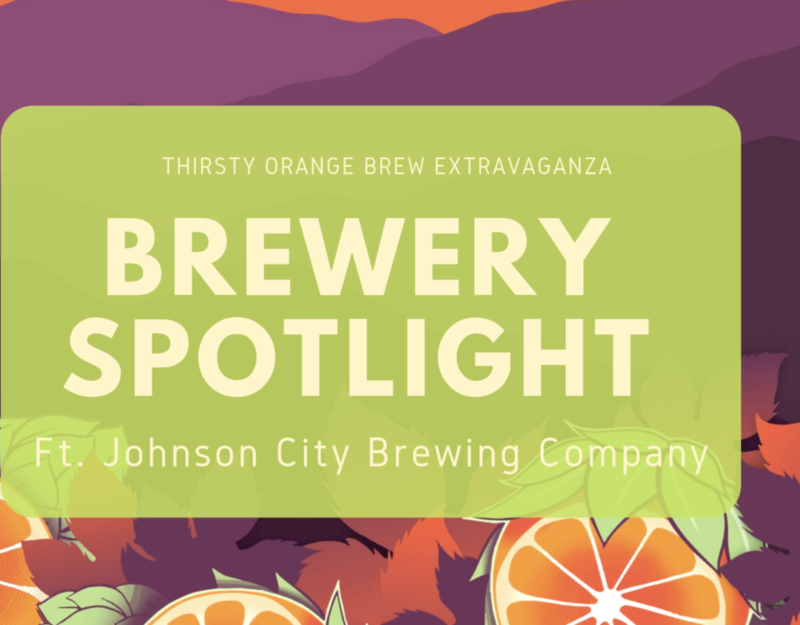 We are so excited to have this incredibe Johnson City Brewery back again for the 8th Annual Thirsty Orange taking place April 13, 2019. Read below to find out more about this jewel the Tri-Cities has to offer. Thirsty Orange: What’s your name & roll at Great Oak? What’s your brewery ‘creation story’? About halfway through my ten year enlistment in the US Air Force, my wife and I decided that we wanted to eventually return home to the Tri-Cities and open a brewery. I was a Survival, Evasion, Resistance and Escape (SERE) Specialist in the Air Force which provided a lifetime’s worth of cool experiences (to include drinking beer all over the world), however, I had a lot to learn if I wanted to transition from homebrewing to commercial brewing. After winning several medals in homebrewing competitions, I decided to take some professional brewing course from Oregon State University, Siebel World Brewing Academy and Cicerone. From here I had the opportunity to complete a six month brewers internship at Silver Gulch Brewing Company in Fairbanks, Alaska while stationed at the US Air Force Arctic Survival School. After separating from the USAF we returned home and poured everything we had into making our dream a reality. We were lucky enough to run into the owners of the Stir Fry Restaurant Group who were considering opening a brewery and needed someone to design and run it. Great Oak was a concept that we had built a full business plan around while in Alaska and we were ready to hit the ground running. We had a lot of help and motivation along the way and we couldn’t have done it with our friends and family behind us. Yes we’ve been every year. What is your favorite thing about Thirsty Orange? I really like meeting new folks from breweries outside of our area and sharing stories. What are your favorite beers right now? It’s been a cold winter this year so I’ve been on a dark beer kick, but I think the cabin fever is taking hold and I’m leaning back to hearty IPAs. What do you have in the tanks right now? We just kegged and released a Black Lager called North & Back for Great Oak’s 1yr anniversary last week. A third addition to our Single Hop Series, Simcoe IPA is fermenting right now alongside our Twin Eddies Coffee Porter, Carpenter’s Cream Ale and Thunder Pig IPA. Anything extra special we can expect to see at Thirsty Orange? The first beer I remember drinking… Lets just say I’ll never forget my first Sierra Nevada Pale Ale. Beer goes best with… relaxing at the end of a long day. Best time of day to drink beer is… yes. The best part of drinking beer is… having to make more! Liked what you read? Make sure that you get your tickets for the 8th Annual Thirsty Orange so you can get a taste of what Great Oak has to offer!! Tickets available HERE.